Your dog’s nutritional needs depend on many things – from breed and age to lifestyle and health. 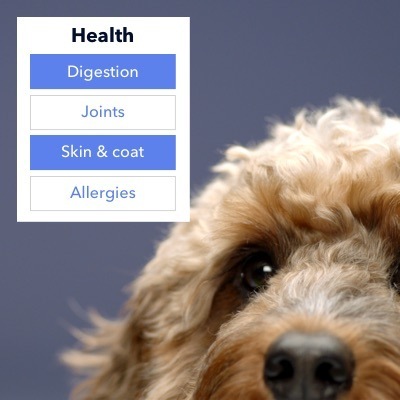 Our algorithm uses every detail about your dog to create a unique recipe of dry dog food just for them. The result? Empty bowl, glossy coat and waggy tail. What's in our dry dog food? You'll see the full list of ingredients in your dog's unique recipe when you sign up. Our vets and nutritionists choose each ingredient for the specific nutrients it provides – so your dog gets the right balance of protein, fats, carbohydrates, vitamins and minerals they need. Meat and fish are a natural source of protein and fatty acids – essential for a glossy coat and tip-top body condition. We use potato and whole grains like wheat, oats, and maize: the carbs that help your dog bounce through busy days in the park. Your dog’s recipe has all the vitamins and minerals they need for a healthy life, supporting their joints, liver, digestion and more. We focus on the best nutrition for your dog, so there’s no added sugar, artificial colours, or artificial flavours in our dry dog food. Does your dog prefer chicken or fish? Grain or no grain? Every detail about your dog matters – and our algorithm uses your answers to get the nutrient balance of your dog’s food just right. Portion recommendations make it easy to feed the right amount, and the recipe changes with your dog as they age – so they get everything they need for a healthy and happy life. It’s so clever it’s simple. Serving up the highest quality dog food is as important to us as it is to you and your dog. We’re always checking for freshness and taste, making sure each blend meets our high quality standards. 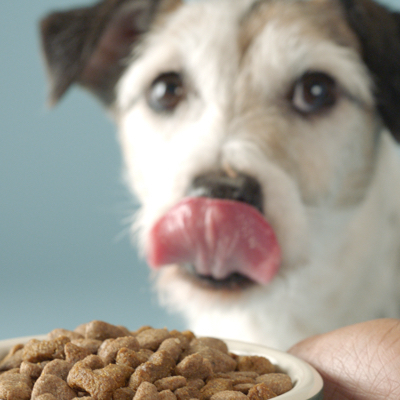 Because better ingredients mean tastier food – and happier dogs.